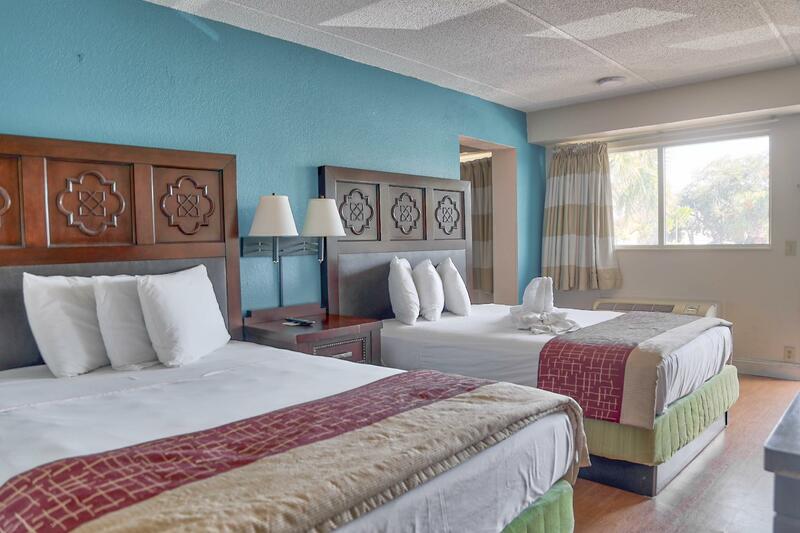 "The staff are very nice , The rooms are clean , the beds are..."
Blue Inn Lake Buena Vista South is 6.8 km Disney World, 19.2 km from Universal Studios, and 12.6 km from SeaWorld. Shuttle service is offered free to guests. The Blue Inn Lake Buena Vista South also provides free WiFi. Rooms at the Lake Buena Vista South Blue Inn include expanded cable TV. 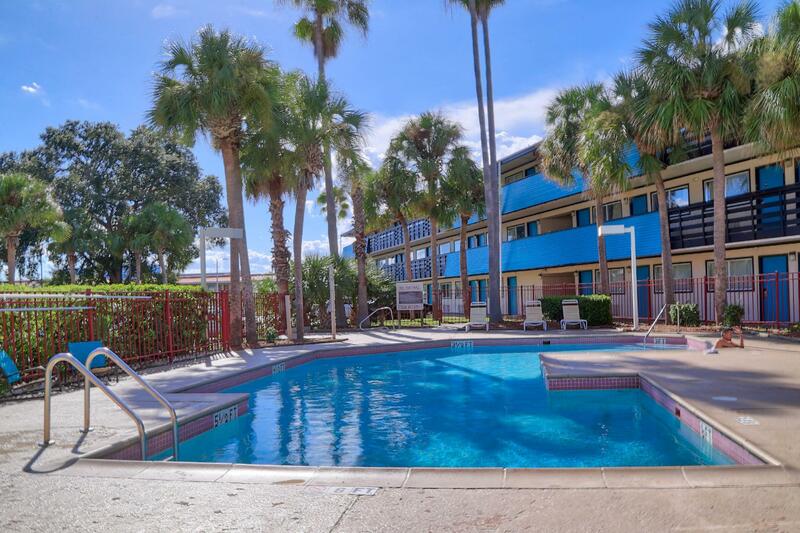 This Florida motel also has an outdoor pool and hot tub. 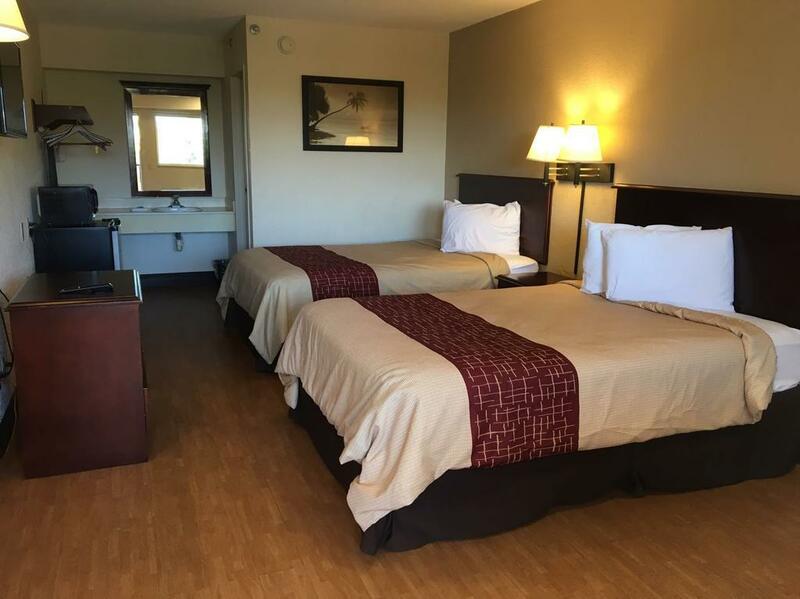 Laundry facilities are located on-site for convenience.The Blue Inn also has in-room dining from local restaurants available. 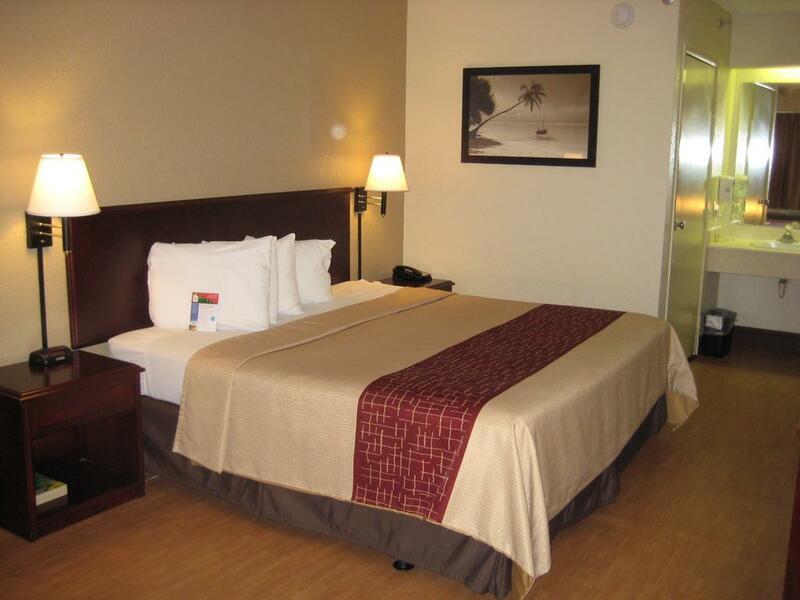 The Orlando International Airport is 30.5 km from this motel. Please note this hotel does not accept Diners Club Cards. Please note that a deposit of USD 50.00 must be paid on arrival. This will be returned at check-out, subject to a damage inspection. Guests are required to show a photo identification and credit card upon check-in. Please note that all Special Requests are subject to availability and additional charges may apply. we stayed on a Saturday night price for room was unbeatable the hotel is in walking distance to Old Town activities plenty of restaurants and stores around to get snacks or food. Pros Location and cleanliness Cons No interenet and very small rooms. For the price it is ok only to sleep. It was not dirty but it was smelling bad. I will not return. The staff was more than helpful and accommodating. The room was dirty, plank wood floors were dirty with debris and lint on it. Bathroom tub enclosure had plenty of black mold. During my one night stay there was plenty of noise from other people staying at the hotel on the hallways, talking loud and screaming. 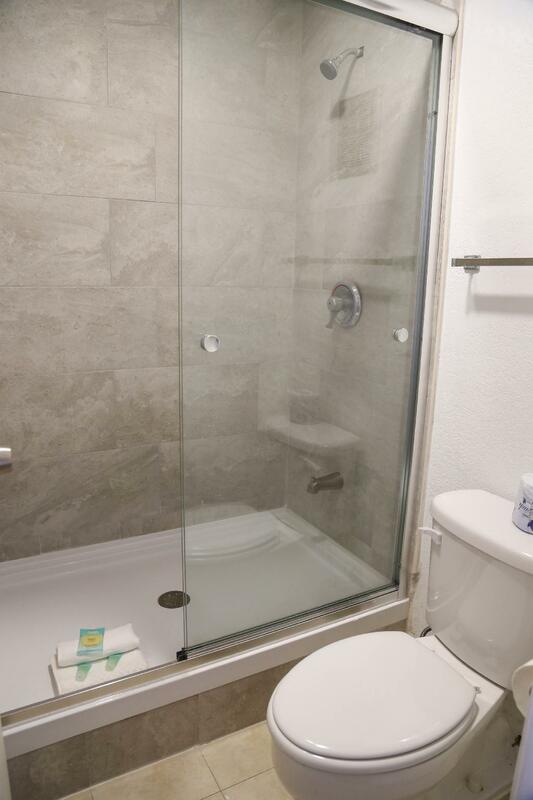 Rooms come with 2 Bath towels, 1 hand towel (not 2) and one mat towel, no wash cloths. Furniture in the room looked good and elaborate, not the simple furniture you would expect at a lower price motel. Very friendly staff. Front desk, even the cleaning ladies were nice. Owner is very nice. Rooms pretty clean seen a roach or two but that’s to be expected in most low priced hotels. Best are comfortable and they have cable. We stayed a total of 3 1/2 weeks and had no issues. I would definitely stay here again! We were on the third floor in which the key card didn't work. My boyfriend went down twice before someone came up and apologized that the key didn't work. Gave us a suite to apologize. The suite is just two rooms that they opened up. No phone in the room. No comforter on the bed. Anytime we need anything we had to go down to the office. They "cleaned" the room while gone by taking every towel clean or dirty out of the room. The bed wasn't made and no new towels were left. This was an awful stay. It has potential but they need to work on the room actually being a suite. Maybe put a tv in the room where the couch is. The cable needs to befixed too. 90% of the channels were fuzzy. This hotel is terrible!!! Our room was not clean. The garage can was still full. When we checked in there was no one at the counter. Stood there for 20 minutes waiting. There was no blankets on the bed or anywhere in the room. The beds were very uncomfortable. The only ice machine didn’t work. No vending machines. The air conditioner barely blew air. Do not waste your money! First of all, the check-in process took more than 40 minutes, whcih was too long as we were so tired and need to sleep imediately. We arrive at 10 pm and we coudl not get in the room at 10: 45 pm. We reserved too rooms but were told only one room was reserved adn we had to search for out paper and presented to the front desk. She asked us to contatc the web site we reserved from. Secodn of all, a wrogn key was given to one of the rooms and we hadto go back and forth to get the righ key. Thrid, the wifi was not even working. Fourth, ther ewas not even driknig water: not hot water an dno cold water (you have to pay for geting the bottle water if you want to drink). We expcetced to get at least drinking hot water.But nothing. I have stayed in alot of places not all have been that great however I have NEVER checked out ahead of time. There is a long list of things that went wrong. I am working with my credit card to dispute the transaction it was that bad. The girl at the front wasn't very helpful either and we asked to speak to the manager and of course he's not reachable. We had to go to Walmart to use the bathroom. We had to put a table in front of our door because there wasn't a lock on the inside. I always read reviews ahead of time and I also like to make my own opinion too. This time I wish I had listen to the reviews and stayed far, far away from this place. All rooms smell like cigarette and bedding is disgusting. The toilets leak, the tubs don't drain, the staff don't care and they give your room away if they overbook. So expect to be woken up to a very tall very large terrifying man about to break the top latch hook trying to get inside to "his" room. They told us we had a free night because of issues and then kicked us out the night before our last paid day saying they were again overbooked and we had to leave. Construction on the property makes it hard to even think of the drama occurring around you, or attempt to make it back to sleep after the middle of the night visitors. Not pet friendly in anyway and not worth the money they charge you for a taco up the road. Pool green and looks contaminated like the water in the hotel. In the mood for a dirty room, that might have to be shared, if they don't kick you out in the middle of your yellow shower. Hope you have insurance after staying here. You will need it. By far the worst place I have stayed at in Orlando EVER. la limpieza en los últimos días de nuestra estancia dió mucho que desear además de que se tapó el inodoro. Als we meer reviews hadden gelezen hadden we dit hotel nooit geboekt. De hygiëne van dit 2 sterren hotel is erg slecht en achterstallig onderhoud is enorm. Versleten waterkraan, gat in de vloer en ondoorzichtige ramen zijn enkele voorbeelden. Maar zeker met de hygiëne en insecten (bedbugs?) is het erg slecht gesteld.